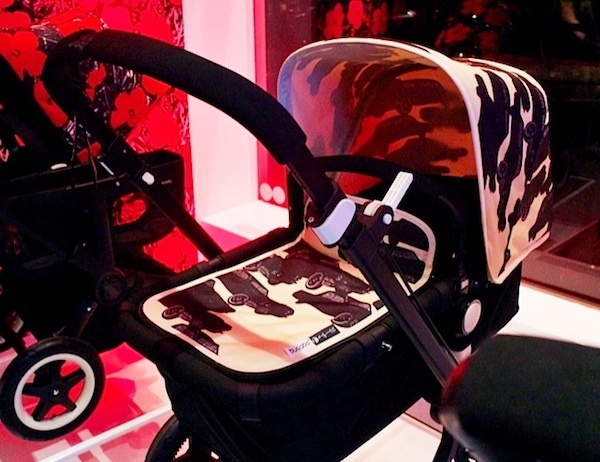 We were lucky enough to be able to grab some more pics of the new Bugaboo Warhol fabrics at the Bugaboo store opening last night in Amsterdam. 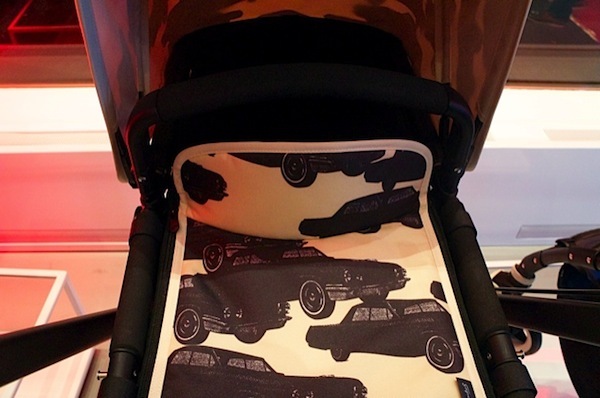 The ‘Cars’ fabric is an original design by Bugaboo based on Warhol’s car prints from the 1950s. The ‘Flowers’ set is a reproduction of Warhol’s work ‘Flowers (Red)’, from 1964. The ‘Flowers’ parasol is also based on Warhol’s collection of work from 1964. 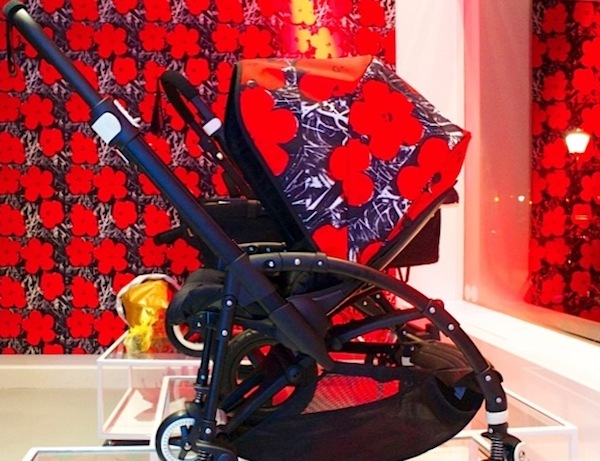 The Flowers and Cars collections include a tailored fabric set for the Bugaboo Cameleon3 and the Bugaboo Donkey ($289). The canopy will be available for the Bugaboo Bee and the Bugaboo Donkey ($189). The Flowers parasol retails at $99.95. Both collections will be available worldwide from May. Check Bugaboo for retailers.